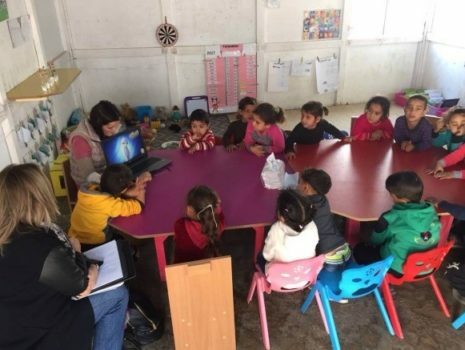 A three-year partnership aiming at enhancing school preparedness for the integration and retention of 1,200 refugee and disadvantaged host community children ages 4-6 years old in Akkar, Bekaa and Mount Lebanon. 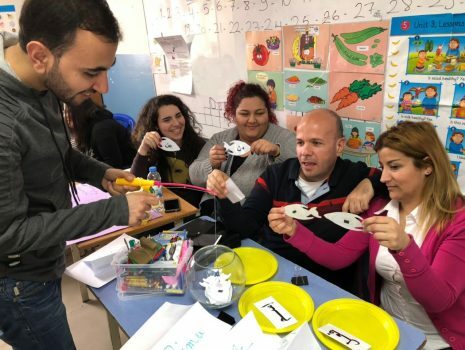 This three-year partnership with CARITAS Switzerland (CaCH) aims at enhancing the quality of teaching and learning for vulnerable Lebanese and Syrian Refugee Children in the public schools. 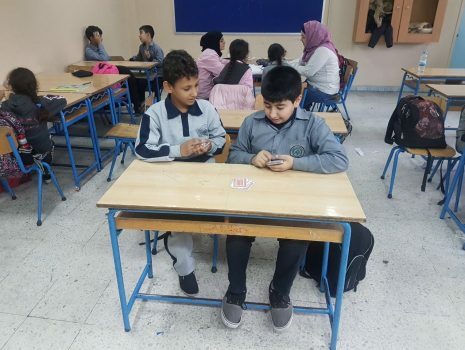 25 schools (21 public schools and 4 semi-private schools) in the North, Bekaa, Mount Lebanon and Beirut regions will participate in the project. These schools will provide retention intervention in the form of homework support and summer remedial programs to a total of 3,600 learners and their teachers and other school staff. In the short term, QTL aims to enhance and validate the existing Balanced Literacy Approach, used by Ana Aqra within the retention support program, into an improved QTL model. This enhanced and validated BLA model will hence introduce improved methods to strengthen and improve the performance of education practitioners in public schools. In the long term, education practitioners benefiting from the outcomes of QTL will transfer their acquired knowledge into mainstream education. Key stakeholders from the Lebanese University (LU) – Faculty of Pedagogy, and MEHE - DOPS, PMU, and CERD, as well as the University of Teachers Education- PH Zug in Switzerland, are engaged to provide their expertise to ensure the project's progress. Two memorandums of understanding were signed between Ana Aqra and the LU - Faculty of Pedagogy and between Ana Aqra and CERD in order to facilitate cooperation. These MOUs are valuable stepping stones in expanding Ana Aqra’s educational work with the help of the academic and governmental sectors. This project aims at providing retention support to 4,800 learners who are at risk of dropping out from formal education. Implementation will take place in 12 schools located in Beirut, Mount Lebanon, Bekaa, Baalbeck and the North. The retention support program will target 3,600 learners with homework support and 1,200 learners with unified remedial support to ensure that learners from both programs remain and succeed in school.